Forget about taking a few wall adapters wherever you go. 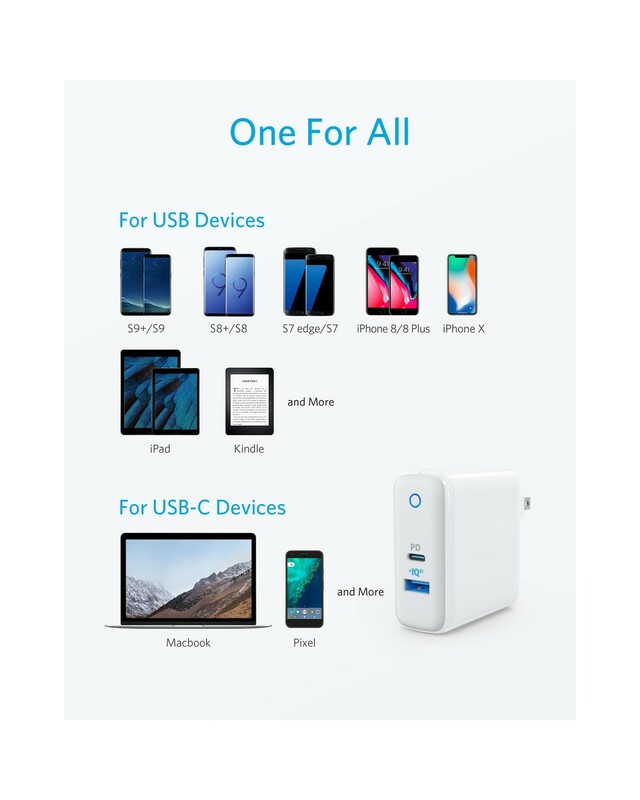 You can charge most of the devices you have - all from one charger. 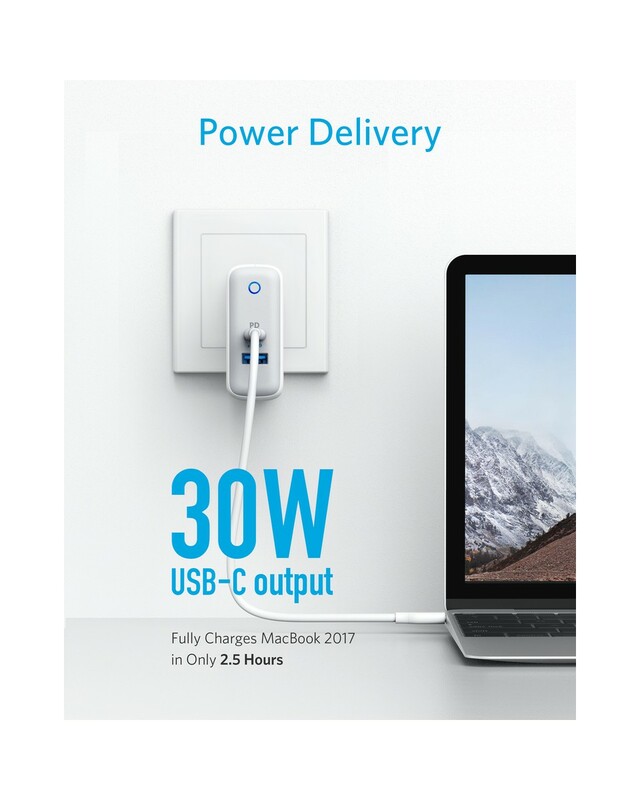 The need to speed up any standard USB device's power as quickly as possible with PowerIQ 2.0, Anker's unique technology. The USB-C device gets 30W of power which is very fast from a special Power Delivery port. Your Travel companion A sturdy and compact build built from premium components ensures that PowerPort II can be used wherever you need it. 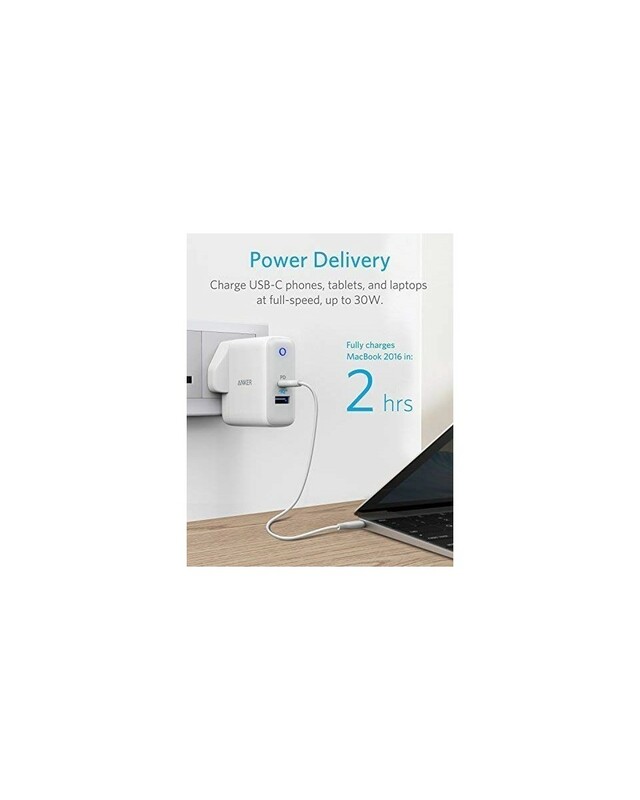 Built-in MultiProtect technology provides absolute security for you and your device when charging, and the soft LED indicator shows inconspicuous active status. After Sales Service In Anker, we believe in our products. That's why we support all of them with friendly support and easy reach. Will charge the Nintendo Switch but does not support "Charge-and-Play. After connecting to iPhone (8/8 Plus / X), fast charging (9V) will start automatically, regardless of whether you hear one or two charging indicators. To charge iPhone, connect to PD port using USB-C cable to Lightning. We'll never share your address with anyone else. Copyright © 2019 Anker Indonesia. E-commerce by 82Cart.